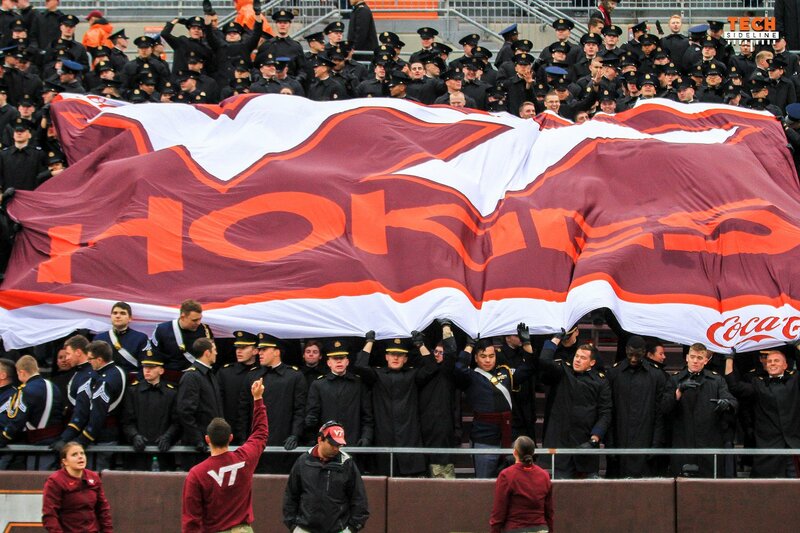 BLACKSBURG – Head coach Justin Fuente announced his plans to conduct a 100-play Spring Game in Lane Stadium on Saturday. Kickoff is slated for 4 p.m. ET with the game being broadcast on radio by Jon Laaser and Mike Burnop on the Virginia Tech IMG Sports Network. The only portion of the contest that will be formally scored will be a five-segment Red Zone scrimmage that will lead off the event. Based on weather conditions or other factors, the script for Saturday’s game is subject to change but is currently slated to feature the following periods after the conclusion of the Red Zone scrimmage as well as a “halftime” intermission. The squad is then scheduled for multiple periods of open-field scrimmage work with the first, second and third-team units all working against one another. Following the Spring Game and a cooling off period for the players, an announcement will be made when fans will be allowed on to Worsham Field to get autographs from our student-athletes. This autograph session will last approximately 60 minutes. In the event of inclement weather, fans will be notified of any changes to the autograph session. They should just call it the “Spring Scrimmage” then. It sure isn’t anything close to a “game”! Of course it’s not a game. Never has been even when it was a “game”. This might give fans a little better idea of what the team is capable of. And if nothing else, it will give fans an idea of how scrimmage games work. I like it. Back in the day it was a game, and got rather intense at times, especially tackling. Coaches would say they would have all summer to heal, i.e. Jerry Claibourne. That’s all it is anyway!